The heart of the Duwamish people. Motivation: Men aren't evil, but they do evil things. Spirits can be evil, but they do not harm us unless we invite them into our lives through our sins. Love and understanding defeat hate and anger every time. Description: Though never a full-fledged wizard, Stuart Ashleaf has enough magical talent that he is active and powerful even at the age of 87. 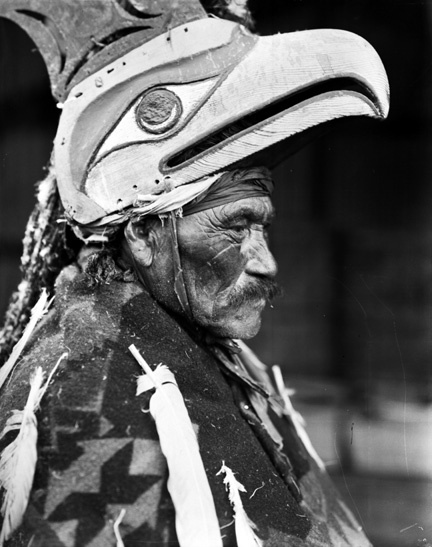 He has successfully guided his people through three quarters of a century of turmoil and upheaval as their medicine man, and he has seen more crisis and creepy-crawlies than any ten other men in modern Seattle. Through it all he has maintained a serene belief in the essential goodness of man and their capacity to find harmony, with each other and with the wider world. Feeling the weight of his years, recently he has begun to train a number of spiritually sensitive young men in the Duwamish magical tradition, as eventual replacements for himself. He has been looking into the rash of skin-walker attacks for the last few years, but has yet to share his findings with anyone else. A few years ago he took in a young white man who was coming into a considerable magical talent named Andrew Compton. Though he was careful not to teach the boy any of the tribe's most secret teachings, he found himself becoming attached to the misunderstood and withdrawn young man. He was shocked to hear the accusations leveled against him by Tyler, but personally verified with his own magical examination that dangerous black magic had been performed on Tyler with the intent of somehow warping his psyche. He never got the chance to discuss it with Andrew, who disappeared following the crime. Since Andrew's reappearance he has not had the chance to confront his erstwhile student about that dark day, or about the source of the new power that the young man seems to possess.